Shannon is the Chief Executive Officer of Beacon Pointe Advisors and a member of Beacon Pointe’s Investment Committee. 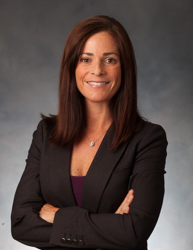 Prior to launching Beacon Pointe, Shannon served as Senior Managing Director and Portfolio Manager at Roxbury Capital Management and oversaw the socially responsible investments (SRI) for several years. Shannon is a member of the CNBC Financial Advisor Council and is regularly featured in The Wall Street Journal, InvestmentNews, Barron’s, Financial Planning Magazine, among other publications. In 2018 she was presented with the UC Irvine Lauds & Laurels Award and in 2017 the Orange County Business Journal Women in Business Award. Through Shannon’s passion for financial education, she is a founding member of the Beacon Pointe Women’s Advisory Institute and co-authored Your Dollars, Our Sense: A Fun and Simple Guide to Money Matters, an international best-selling book that has ranked #1 in six different business and finance categories. Shannon graduated from the University of California, Irvine where she played Division I Volleyball and she received her MBA from the University of California, Los Angeles Anderson School of Business. Shannon is a member of the Young Presidents Organization (YPO) for the Orange County Chapter, and serves or has served on numerous boards including the Sunwest Bank Board of Directors, the UCI Athletic Fund Board, the Charles Schwab Advisor Council, the TD Ameritrade Advisory Council, CNBC’s Advisory Council, as well as Scratchworks, a FinTech accelerator that connects innovative tech companies with investment and wealth management luminaries to advance the digital transformation of the financial services industry. As a dedicated philanthropist, she has also served on the Children’s Hospital of Orange County Professional Advisory Committee, the Investment Committee of Sisters of St. Joseph in Orange, and served as the Executive Director of the HALO Foundation. Shannon is married, has four children, and lives with her husband in Newport Beach, California.